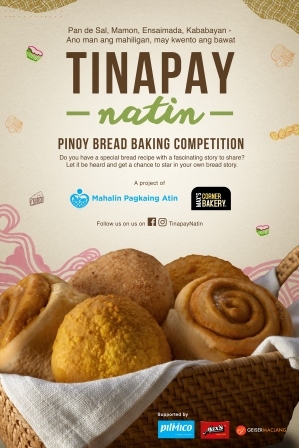 In celebration of the colorful tradition of Filipino bread-making and to honor of our food culture, Pilmico has partnered with Max’s Corner to spearhead a nationwide bread competition, aptly called the Tinapay Natin Pinoy Bread Baking Competition. The competition legs will be held in Manila, Bulacan, Batangas, and Iloilo, respectively. The partner universities, namely Treston International College, STI College-Bulacan, Lyceum of the Philippines - Batangas, and St. Therese College - Iloilo City, will then act as venue sponsors, while also encouraging their own students to join the contest. 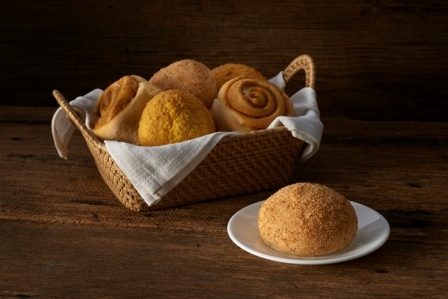 Max's Corner Bakery itself takes pride in a rich and colorful history that dates back to the 1960's when its founder, Ruby Trota, baked the first batch of soft bread rolls using a wood-fired oven. It was well-received by the Filipino patrons of Max's, then still flourishing restaurant. Soon, the bakery expanded its baked goodies to include breads, pastries, and cakes that eventually became the irresistibly delicious treats Filipinos know and love today. 1) Each team need to prepare two (2) bread entries for the eliminations: one (1) regional bread and one (1) modern bread. Come the Grand Finals, the three (3) elimination winners will have to prepare the same bread entries they had, plus one additional bread variant of their choice (either a regional or modern bread). a. 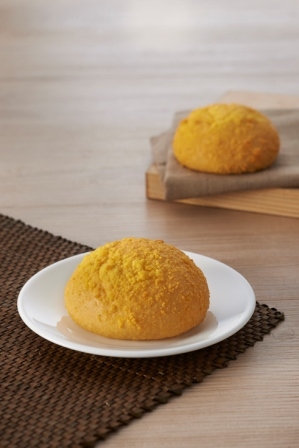 Regional bread - is associated with a region or a place within a region in the Philippines. b. Modern bread - is inspired by a local bread (regional or national) but has a surprising twist in the form of ingredients, baking methods, flavors, and technique. 4) Qualifying teams can no longer add ingredients but can change the quantity of each individual ingredient, as specified in their application form. Event marshals will be conducting inspections during the competition proper to ensure that this is followed. Those who bring in extra ingredients shall be disqualified from the competition. 1) Only an oven and a standard 4x2 feet workstation will be provided for each team at the venue, hence participants are required to bring in their own utensils and baking tools, a list of which must be sent together with the final recipe on August 26. 3) Each team must also bring their own fire extinguisher to the venue. 1) Participants must wear plain white shirts (with or without collar) and black pants, both of which must be free from any branding and embroidery. Teams with members who are not wearing the proper attire will not be allowed to participate. 1) Participating teams will be provided with the ingredients they specified on their respective lists during the competition proper. Teams must bake their breads in accordance to their final recipe. 2) Teams must choose which between Pilmico Sun Moon Star Hard Wheat Flour and Pilmico Wooden Spoon All Purpose Flour they intend to use during the competition. One (1) kilogram of chosen flour will be used for each bread entry with 10% buffer for dusting. 3) Bread dough must follow straight dough method. Participants are required to do the mixing manually. 4) Dough improvers, preservatives, and emulsifiers are strictly prohibited from the competition. Bringing of such ingredients are grounds for disqualification. 5) Competing teams are given four (4) hours to prepare and bake their bread entries based on the production grid to be provided prior to the competition date. 2) Each team must present their bread entries on a white platter ONLY. 3) Each team strictly has two (2) minutes to pitch their bread. a. Regional bread ¡Vassociated with a region or a place within a region in the Philippines. b. Modern bread ¡Vinspired by any local bread but is given a modern twist, whether in terms of baking style, preparation, ingredients used, or flavors harnessed. 3) To submit, contestants must fill out the official Tinapay Natin Google form found on our Facebook page: www.facebook.com/TinapayNatin. Complete competition guidelines are also posted on these links. 5) The recipes MUST conform to the competition guidelines provided in the website: www.maxschicken.com/tinapaynatin. Entries that fail to do so shall be disqualified. * What is the historical significance of the bread? * How is it a reflection of the region¡¦s people and culture? * What story or aspect of your chosen region do you wish to surface through the bread? ii. Procedure (see competition guidelines). * What traditional Filipino bread inspired this entry? * What aspects of this entry were retained from the bread that inspired it? * What changes did you make with this entry to make it suitable to modern tastes? * What inspired you to create this bread? * Ingredients indicated in the pantry list must follow the metric system and must be in grams only. * Procedure (see competition guidelines). 8) Teams that have qualified for the eliminations in their assigned venue will be announced online on August 19, 2016 through the Tinapay Natin social media pages: www.facebook.com/tinapaynatin and www.instagram.com/tinapaynatin . They will also be notified via calls from the organizer during the announcement date. 11) The organizers will assume the qualifying teams¡¦ last submission on or before the deadline to be the teams¡¦ final lists. Those who deviate from their final lists during the competition proper shall be disqualified. 12) Competing teams will be assigned ovens and work stations at the venue. However, they will need to bring their own baking tools and plating materials. Qualifying teams must refer to the competition guidelines for the prohibited items. 13) Contestants will be given five (5) hours to prepare their breads. Afterwards, they will be given a maximum of two (2) minutes to pitch their bread story. 14) One (1) winning team from each elimination round will be chosen to compete in the Grand Finals which will be held at Treston International College on October 13, 2016. 15) Teams who will be competing in the Grand Finals will be provided Pilmico flour and their indicated ingredients beforehand to practice making their bread. 16) The organizers will not be held liable for events that occur that beyond their control, including but not limited to acts of god, acts or threats of terrorism, war, and hostilities. 17) In celebration of the ¡§World Bread Day,¡¨ the Grand Finals will be held on October 13, from 9AM to 3PM at Treston International College (University Parkway District, 32nd Street corner C-5 Road, Bonifacio Global City). 19) In addition to the two breads entered in the eliminations, the finalists will need to bake one (1) more bread¡Xeither a regional or a modern bread¡Xin the Grand Finals. 20) Preparation rules from the eliminations rounds will still apply. 21) Each team will be given six (6) hours to prepare all three breads based on the production grid. They will be given a total of two (2) minutes to pitch their entries to the judges. 22) The team with the highest total score will then be awarded as the winner of the Tinapay Natin, Pinoy Bread Baking Competition. The winning team¡¦s highest scoring bread will be named as Pinoy Bread of the year to be carried by Max¡¦s Corner Bakery. a. All participating teams will be provided with their respective Certificates of Participation. b. The winning team from each of the elimination rounds will receive ten thousand pesos (Php 10,000) worth of gift certificates from Max's Restaurant, plus a chance to get exclusive training from Pilmico Research and Training Bakery. c. The grand winner will receive a cash prize of fifty thousand pesos (Php 50,000.00), plus a trophy and medal. In addition to this, at least one of their bread entries will be sold and distributed at MCB outlets for a probationary period of forty-five (45) days. d. After the competition, Pilmico and MCB shall reserve the ownership and the rights to use the recipes of all bread entries that competed in the grand finals. 24) The winning recipe will be subject to modification by the MCB Technical Research & Development team for selling purposes. Their bread story, meanwhile, will be published via in-store collaterals and media features. 25) In response to the growing challenge of malnutrition among Filipino schoolchildren, the winning team gets to choose a public school from their region that will be granted a feeding program funded by a part of the sales generated by the new #TinapayNatin.